What do you get when you seat seven hungry people in one table with a small grill to share amongst them? You get a very toned down version of The Hunger Games. There’s no violence, bloodshed, or death, but you get people trying to claim sections of the grill like a New World Navigator. On Friday afternoon, I got a text from a friend who sent an invite out to a bunch of us to go for dinner and a movie on Saturday night. A bunch of them wanted to see The Hunger Games, so that plan was already set. 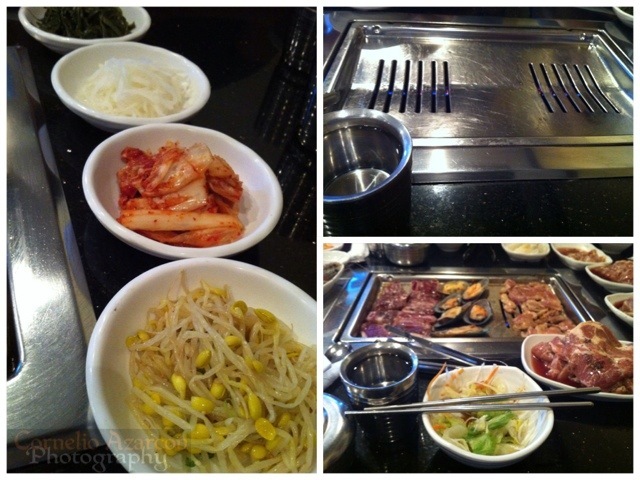 They also wanted to go for some Korean BBQ, so my friend made reservations at Arirang in Mississauga. We all opted for the All-You-Can-Eat meal ($19.95) which included some banchan and salad. 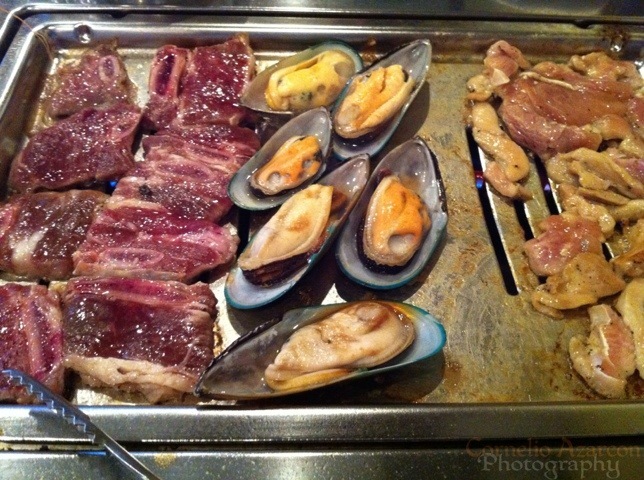 We ordered every type of meat on the menu, items such as mussels, squid, shrimp, beef short ribs, pork chops, bulgogi beef, chicken, and pork. The best part is we get to cook the meats the way we liked it. Overall, it was a great value for the quality and amount of meat. There was a time limit of 1.5 hours, but it took us more like 2 hours. The service was slow at times,and they forgot to bring us a few extra plates, but the fun we all enjoyed together made up for the few hiccups. im drooooooling! i love korean bbq. i bet you would. You’d also be the better judge if this place is really good. You’ve had the real deal when you lived in Korea. haha. fortunately i’ve found that bbq is usually pretty spot-on in the states.